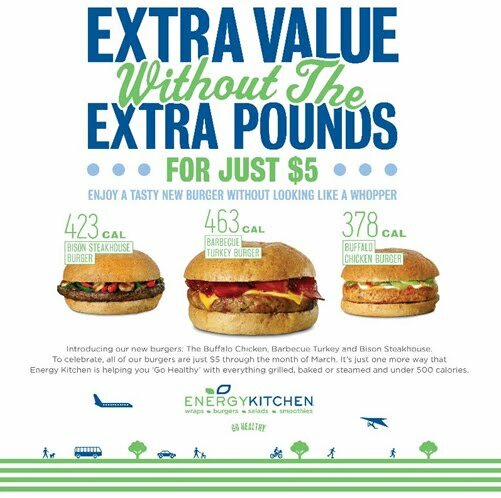 As my 2 week burger hiatus was coming to a close with the Salad Conquest April Fools’ joke, I got a very appropriate email from Energy Kitchen. 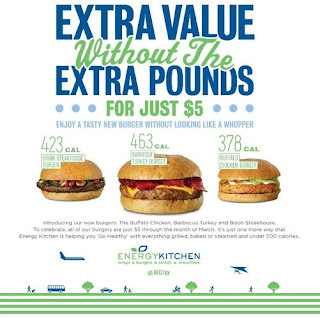 All of their health(ier) burgers were only $5 for the month of March. With dinner impending and a location in my neighborhood, the decision was quickly made. 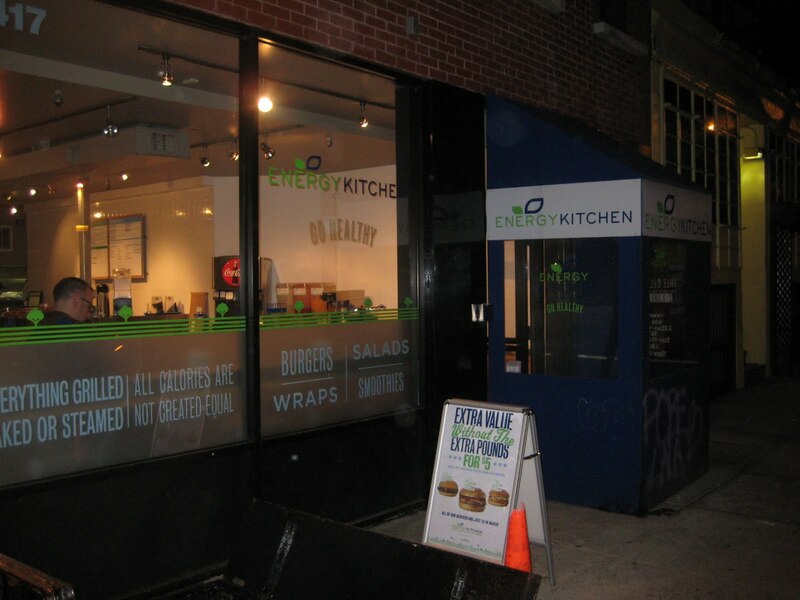 The Energy Kitchen is a quickly growing chain with 8 locations in Manhattan and 1 in Hoboken, NJ. While they each have small dining rooms with counter service, the Energy Kitchen is also great for delivery. 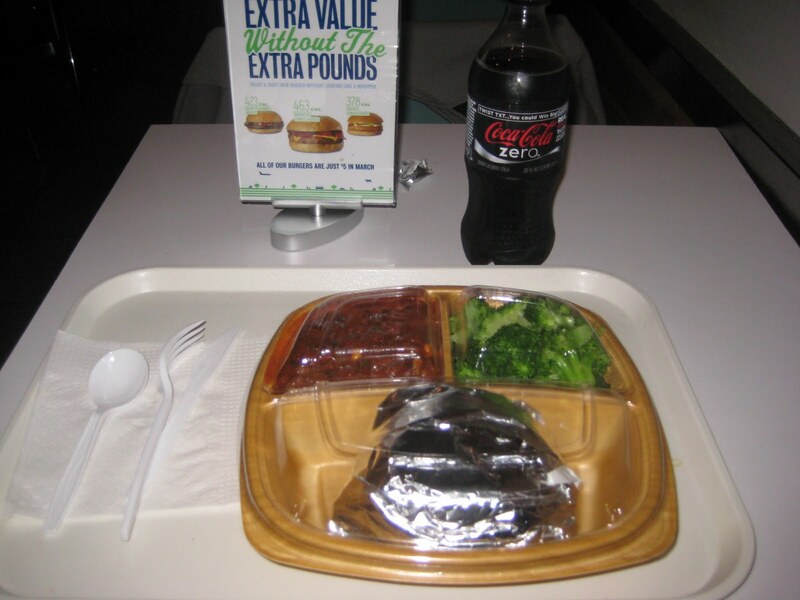 Their menu offers many items not unlike what you would find on the menu of a fast food restaurant or small diner along with salads, snacks and smoothies. The difference here is that nothing they serve is more than 500 calories. 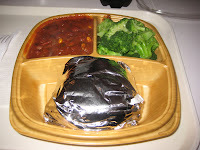 All food items are baked, steamed or grilled, never fried and with a low-fat / low-calorie content. In other words, fast food for the healthy conscious. 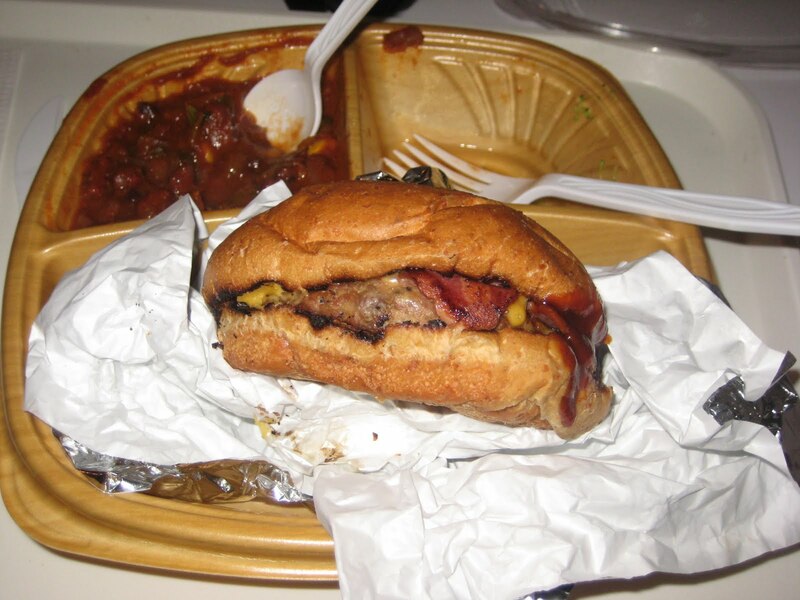 With the choice of 9 different burgers on the menu, I chose the Barbecue Turkey Burger, topped with turkey bacon, American cheese and chipotle barbecue sauce served on a whole-wheat kaiser roll (463 calories). Not only did it sound tasty but it was one of the most expensive burgers therefore giving me the biggest proverbial bang for the (5)buck(s)! 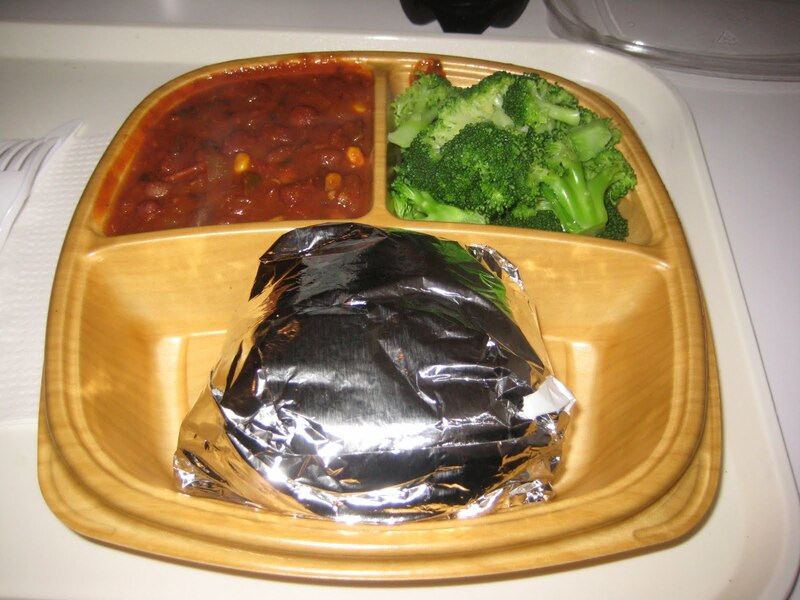 For an additional $3.99 you can choose 2 sides and sticking with the health(ier) theme I added the steamed broccoli and vegetarian chili. 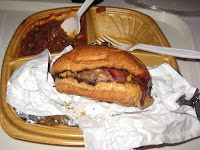 Both of which were good, especially the chili, but the star of the show was the burger. The turkey burger patty at Energy Kitchen is packed with ground veggies and spices. Unfortunately healthy foods have given themselves a bad reputation on the taste scale and driven away potential fans. However, that is NOT the case here. The burger was tasty, had zest and flavor like it was put together by someone who wanted to cheat their waist line, not their taste buds. I can’t confirm is the BBQ sauce was “diet” but I can tell you it was sweet, smoky and tangy with a peppery taste. I quite liked it, especially smothered over the salty mix of cheese and turkey bacon. 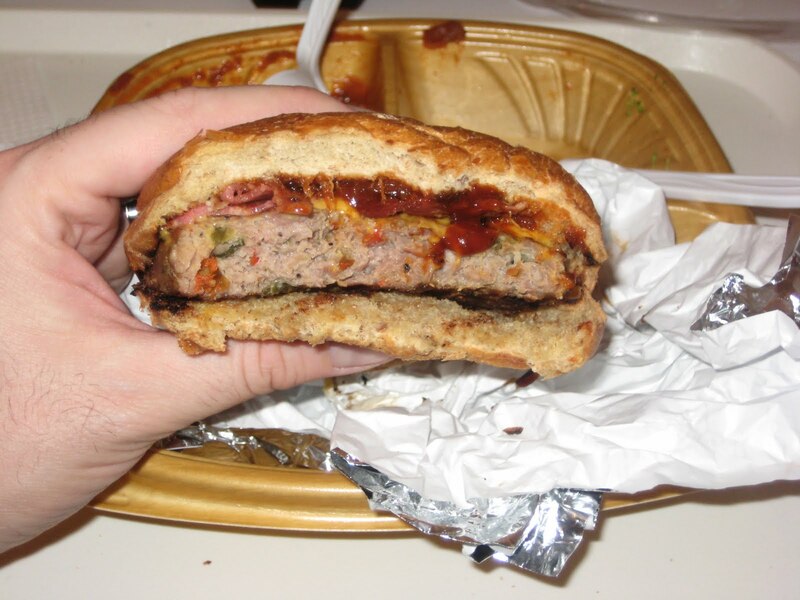 I don’t care if you’re eating the greasiest, biggest, deep fried, grease bomb of a beef burger, or it’s low-fat/calorie counterpart at the Energy Kitchen, a whole-wheat always trumps a simple white bun. Fortunately for the foodie in me, the bun here was soft, fresh and held together throughout the whole sandwich. While I can honestly say I wouldn’t give up eating all kinds of burgers and trade in for these, I definitely plan on eating there again. Too bad the $5 promotion is over! My only grip, they close at 10 pm. 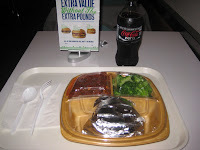 Where are all the healthy food options at 3 am in the morning when I am salivating over a cheese steak? This entry was posted in Uncategorized and tagged the great burger conquest hamburger cheese french fries healthy healthier energy kitchen 5 dollars low calorie. Bookmark the permalink.